Training Opportunity for Staff in Primary and Secondary Schools – eduBuzz What's On? A place for eduBuzz members to share news of school and other events with the East Lothian schools community. The ‘Bloke of Steel’, Paul Register, is coming to East Lothian. East Lothian School Libraries have been given funding from the Scottish Government School Library Improvement Fund for various planned activities. As part of this they are offering teaching, and any other interested staff, the opportunity to attend a workshop as detailed below. The ‘Bloke of Steel’, Paul Register, is coming to East Lothian to work with staff and pupils in the Authority on graphic novels and their use in schools and school libraries. 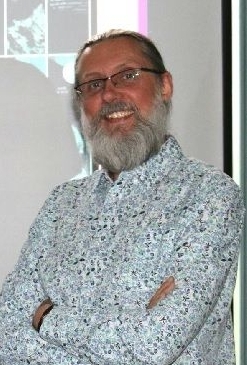 Paul is an Educational Speaker/trainer specialising in comics and graphic novels and will be giving an introduction to the world of graphic novels and how they can be used in schools and school libraries, both Primary and Secondary. He is a top authority on graphic novels and the founder of the Excelsior and Excelsior Junior annual awards. This is a rare opportunity to work with Paul as he is seldom in Scotland. See his website www.blokeofsteel.co.uk for more information. Paul will also be working with pupils from all 6 secondary schools to choose appropriate stock for the school libraries in conjunction with this so a great opportunity for East Lothian. 2 sessions for Primary and Secondary staff are offered. Both sessions will be covering the same topics. Booking is essential – please e-mail Education Training & Development to book a -place – staffdevelopment.ecs@eastlothian.gov.uk quoting the appropriate course reference. Previous Previous post: It’s now so easy to find activities for young people with additional support needs!